If you are like most people, you only think about getting your carpet professionally cleaned after an unfortunate incident, like when you mistakenly spill something on it or if your child or pet has an accident on the carpet. While such incidents make carpet cleaning inevitable, most of the people ignore the fact that carpets need to be regularly cleaned by a professional carpet cleaning service, even if they do not look dirty. Why Should I Get My Carpet Cleaned When It’s Not Dirty? Your carpet may look clean on the surface, but do you know what’s lurking inside it? As reported in a 2015 article in Men’s Health, Philip Tierno Jr. Ph.D, an immunologist, microbiologist, and an author, considers carpets 4,000 times dirtier than toilet seats. According to him, every square inch of a carpet in an average household contains around 200,000 bacteria. Tierno refers to carpets as zoological and botanical parks where hundreds of thousands of species of bacteria live and breed. Bacteria are not the only microorganisms hiding inside your carpet; dust mites are also there to accompany them. While dead human skin provides enough foods for these germs (we shed about 1.5 million skin cells every hour, on average), add in dust, dirt, pollutants, pollen, and food particles and there’s a feast for them. With bacteria, like staphylococcus, E.coli, and salmonella living and breeding in your house, you can imagine what you and your family members get exposed to every time they sit, lay or roll around on the carpet. The risks are even higher when you have pets in your home. This is because pets are prone to fleas and tick and research has shown that fleas do not remain only on pet’s bodies; they can spread all over your house. A carpet that’s not cleaned for a while also affects the indoor air quality because it is constantly releasing pollutants into the air. While keeping your air filters cleaned is one way to improve the air quality, you should adopt a comprehensive approach and also eliminate the root cause of the poor air quality in your home i.e. the microbes hiding inside your carpet. Your carpet is putting your health on risk! Isn’t it enough reason to call a professional for carpet cleaning in Chandler, AZ? 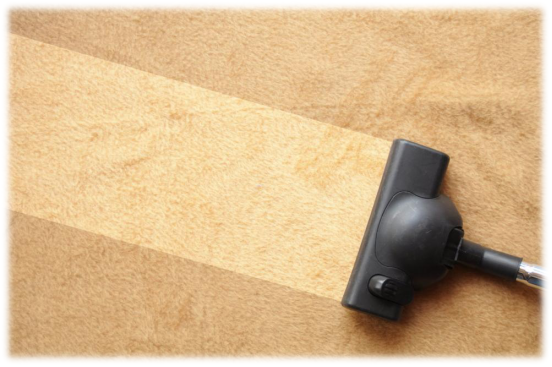 Why Should I Call A Professional Carpet Cleaning Service? No matter how much you clean your carpets, you cannot remove the communities of bacteria and other allergens that have been living inside. This is because the suction or the brush of regular vacuum cleaners cannot reach the inner-most layer of the carpet, where these pathogens live. A professional carpet cleaning service has the right equipment and products, and knows the right methods to remove all that’s lurking inside your carpet. A carpet that’s not cleaned for a while provides an ideal breeding ground for hundreds of different types of bacteria, which then can cause many diseases by polluting the indoor air. Getting your carpets professionally cleaned is the only way to remove all the germs, which then will improve the air quality.